When the Atari 2600 took the home video game console world by storm in the late 70’s, it not only opened up millions of kids (and adults) to hours of fun but gave game programmers a device to experiment and evolve with. 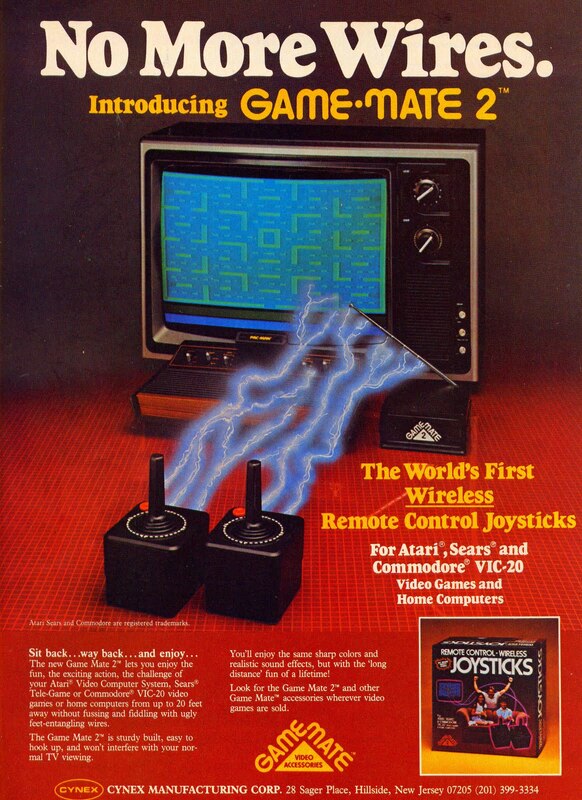 For a system that now looks largely archaic in both its own wood grain design and in the graphics it presents, the Atari actually had some very innovative products. One of these was the Atarivox, which actually allowed compatible games to now include some spoken words to come from the your TV speakers. Granted the computer simulated voice isn’t crystal clear or anything but it was a sign of the gaming upgrades that were to come. As an added bonus, it also allowed you to save your high scores on compatible games. 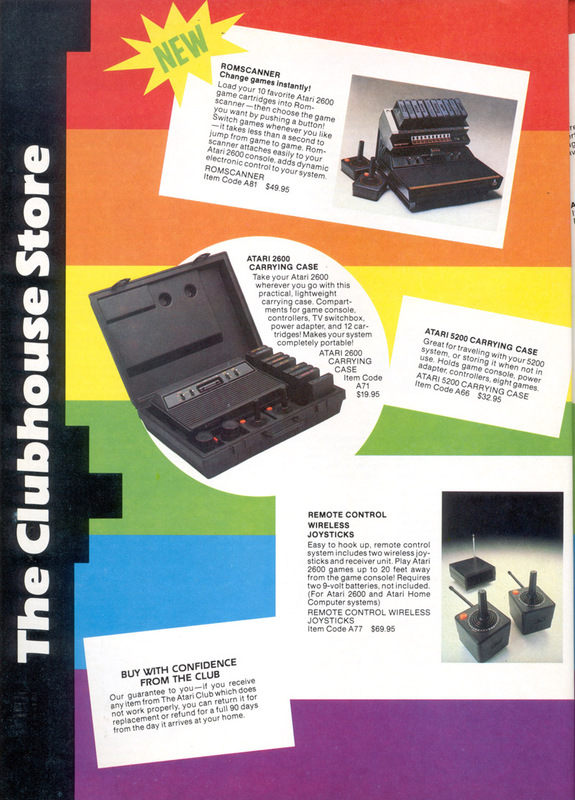 This was the item that actually inspired me to write this article as I stumbled upon this ad while reading a 1994 Electronic Gaming magazine. My friends and I stared at the ad and were baffled by what the thing actually did. I guessed it was some item that somehow isolated the game music and played it over your TV speakers or some such. 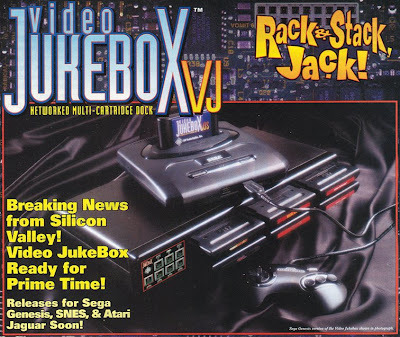 I scoured the internet for information and learned that despite the ad’s claim that the release date was imminent, the VJ Jukebox would be canceled before it could hit the market. The idea was that you could have a number of SNES/Sega etc. games all connected at once and you’d save time not having to switch them out. However, you still had to walk over and manually flip a switch to change the games, so the time this would save was minimal. The machine itself was also a monstrosity. Thirty inches wide, a foot long and six inches tall! That would pretty well eliminate being able to keep the VJ Jukebox and your console on the same TV stand shelf. In an era when Game Boy and Tiger LCD hand held games were your best options for entertainment on long road trips, the Oldmobile Expression was ready to save the day for parents of restless children. At the 1990 Chicago Auto Show they revealed a plan to start placing NES units into the structure of the cars. If that wasn’t enough, the vehicle also sported a VCR built into the same TV monitor you would have run the NES out of. Unfortunately this vehicle model never made it into mass production and we were spared news items about Little Johnny reaching for the reset button and accidentally opening the back door and flying out like a Super Mario Kart turtle shell. Two different retailers carried this TV/NES combo unit in late 1989. It boasted clearer pictures than a standard NES to TV hook up due to the wiring being done directly from console to television instead of an outside connector being utilized. The product was a failure though as the price for the unit cost more than a similar sized TV and NES console would have cost separately. The bases that held the unit upright were also notorious for breaking easily. This experiment was canceled only five months after it hit the market. You can still find them on eBay going for 100’s of dollars. Virtual reality was all the rage in the mid-90’s as technology grew and grew. Nintendo blew a lot of money on the Virtual Boy console that flopped, VR Troopers failed to bring the same kind of TV ratings as their Power Ranger inspirations and the Aura Virtual Vest Interactor failed to win over many gamers. This accessory was “virtual reality” in name only and was merely a glorified full body “rumble pack” which hooked up to your TV’s sound system and created tremors in tune to the game sounds. In reality, this was virtually a bust. MORTAL KOMMMMMMBAAAATTTT!!!! Those screams were heard on endless commercials to promote the controversial video game franchise. In the mid-90’s Mortal Kombat was the hottest property in gaming and was selling millions of copies across all consoles. 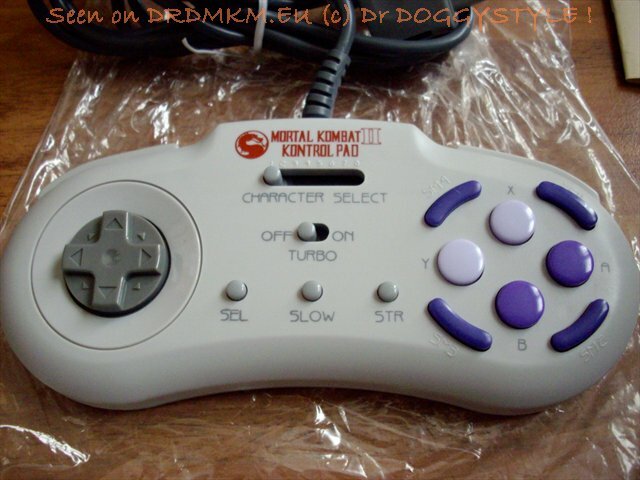 Eventually, this inspired the “Mortal Kombat Kontroller” which with it’s fifty dollar price tag cost as much as many of the new games that were being released at the same time. The Kontroller was designed to make Mortal Kombat’s fatalities, babalities, special moves, and other such things easier by having them pre-programmed to be done with just a touch of a button rather than having to try and successfully button mash the necessary combos. This is a legendary piece of unreleased hardware. 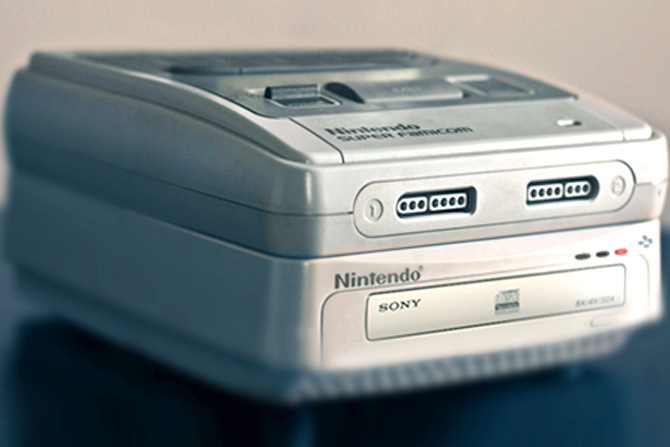 The Super Nintendo had been dominating the console wars for three years but Nintendo was always looking to advance to the next generation of gaming and thus were partnering with Sony to develop the SNES-CD. After several years in development, Nintendo signed a more favorable deal for itself with Phillips, leaving Sony to take it’s tech and develop the “Playstation” which of course provided Nintendo with heavy competition from that point forward. The SNES-CD was announced as being released in 1994 in the “Nintendo Power” magazine, but the product was canceled and ultimately the Phillips CD-I would be released as a console with a handful of Nintendo licensed games. That system would prove to be a commercial failure. Nintendo would not release a CD based system until 2001’s GameCube. To show the long term effect of Nintendo’s break-up with Sony in pure number form, the Playstation 4 has sold ten million more consoles than Nintendo’s Wii-U. 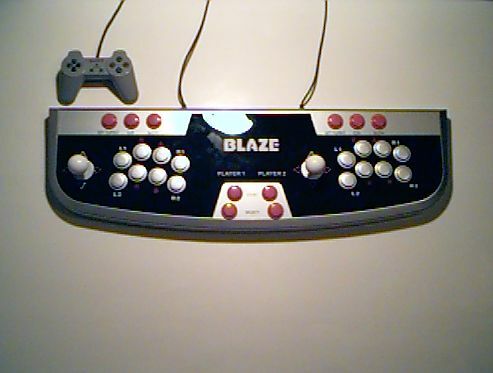 I had to include this, because it is probably the largest controller ever released. As you can see from the Playstation controller in the picture, the Home Arcade Twin Shock was basically designed to be a near full size two-player arcade control panel. It plays well but affordability and availability made for a limited success. For a mere 100 dollars, you could have impressed all your friends back in the late nineties by having one of these bad boys in your bedroom. The Sega Action Chair was designed for the chair itself to act as the joystick/D-pad with your body movements determining the direction that your sprites would move. Your hands would simultaneously be wrapped around two poles with triggers on them to use as the controller buttons. The manual for the chair only lists six games as being compatible with the device, which is a downer considering the price tag. Online reports say the chair didn’t respond well during it’s intended usage and very few remain available on the resale markets. We have lots of modern era video game discussions going on as well, but other than Madden and Grand Theft Auto I have little use for the modern gaming scene. Thanks for reading!